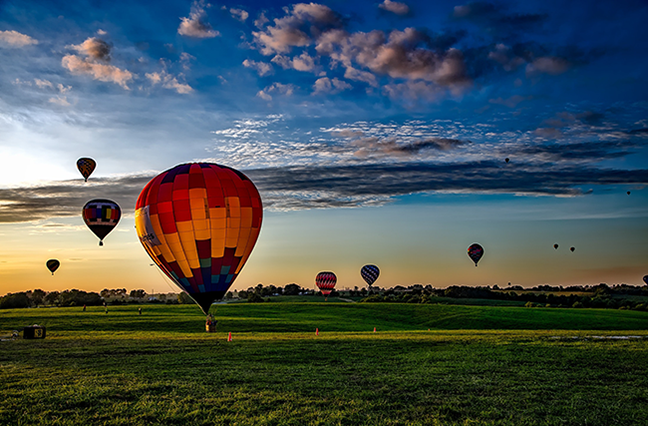 Experience wine country from a different view with a scenic hot air balloon ride. Napa Valley Balloons offers a 1 hour trip over the hills in a hot air balloon to get a bird’s eye view of the beautiful landscape, wineries and skyline sunrise. The package deal also includes a complementary buffet breakfast and pre-flight snack as well as an in-flight photo to take home as a memory of the experience. Not much for balloons? Take another approach to seeing the city with the Riverfront walk. Featuring the famous photo opp. with a large wooden chair, string lights over shops and restaurants and a gorgeous view of the water, the Napa riverfront is the perfect place to spend an evening out. If breweries, specialty coffee and roadside food is your niche head on over to the Oxbow Public Market where you’ll find shops and restaurants such as the Fieldwork Brewing Co., Kara’s cupcakes and Olive Press – where you can try delicious blends of spices and olive oils. Right next door to the market is Gotts Roadside – the perfect American food spot. Sitting across the market is a quaint pizza shop, Filippi’s Pizza Grotto and just a short walk away is the Napa Riverfront (see previous). If you’ve got a sweet tooth—and a taste for renowned chef Tomas Keller’s work (think French Laundry)—just a short drive from the city of Napa itself is Keller’s Bouchon Bakery in Yountville. Tucked amid a group of high-class restaurants, this hidden gem serves freshly made croissants, muffins, cookies, macarons and dips into the savory side with sandwiches, rolls and bread loafs. The bakery also will cater to events such as meetings and weddings and will take pre-orders online for ease and convenience.